Honestly when people started making terrariums around me, I wasn't at all interested. It looked cute but that was it. 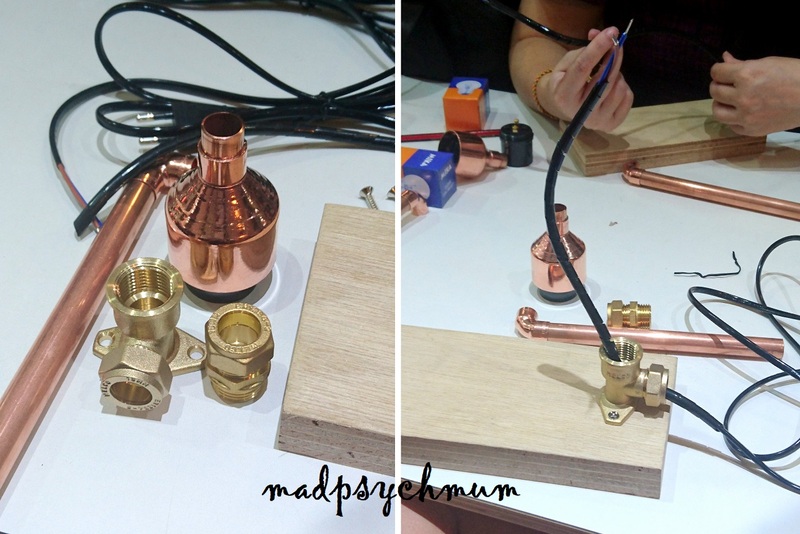 Even when my colleague/ friend asked me to join her in an MSF organised workshop on lamp and terrarium making, to be absolutely honest, I only signed up because of the lamp and the class was cheap (yes, I'm a cheapo at heart!! *laughs*). The terrarium was just a good side dish but not the main course, if you know what I mean. My finished lamp! So proud of myself! And then I was introduced to the world of terrariums. I liked that the workshop focused more on caring for the plants rather than the decoration. That resounded with the gardener in me and made me pay more attention. There are basically two types of terrariums: open and closed. The contents and care that you need to provide for them are slightly different so for the sake of this post, I will cover mainly closed terrariums because open terrariums are similar to most indoor plants. I preferred to keep my terrariums in office where there is no chance that my kids can break them. And since the other colleagues were interested in making some as well, we held a mini workshop at one of the conference rooms. The steps to making a terrarium, whether open or closed, are the same. The only difference is the type of soil you use. The first step is adding Small Rocks or Stones that serve as drainage for your terrarium. Ensure that there are little gaps between the rocks for water to filter through. The second step is adding Sphagnum Moss and Activated Charcoal. Sphagnum moss is required for separating the soil from the rocks while the activated charcoal helps to deodorise and prevent mold from growing in your terrarium. The third step is adding the Soil. The soil should be loose and easy water drainage for closed terrariums. 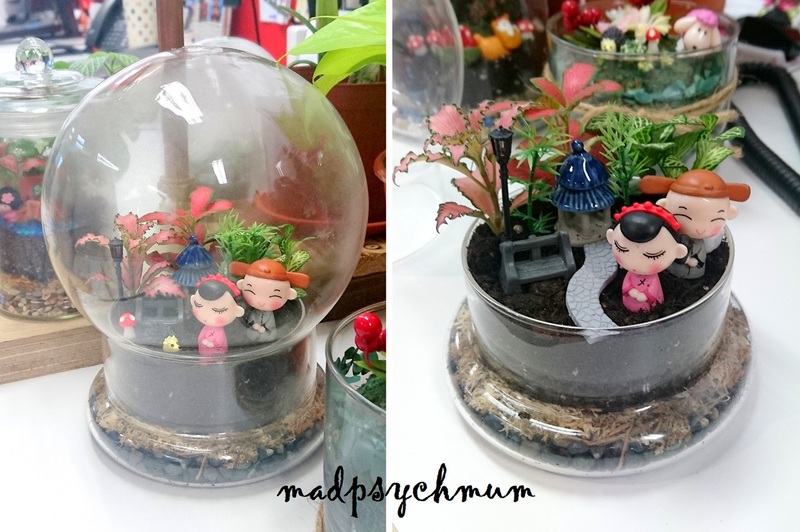 Once you're done, you can add your preferred indoor plants (we chose fittonias because they do really well in terrariums) and decorate with adorable figurines! As long as you continually monitor your terrarium and ensure that it does not have too much moisture, your closed terrarium will maintain itself with minimal effort. OPEN terrariums, however, are like all indoor plants who require watering at least once a week. Take note not to over water, especially if they are in an air-conditioned environment where the air is maintained at a constant humidity and temperature. Succulents are awesome for open terrariums as they look good and are super easy to maintain.